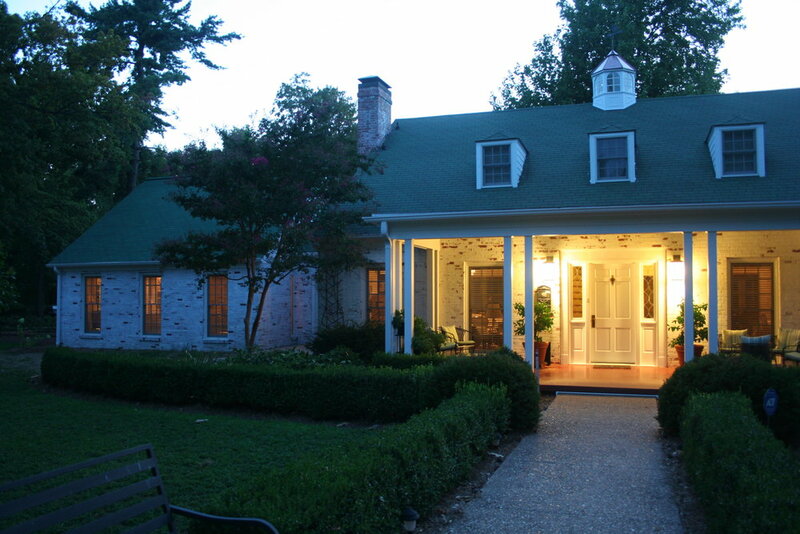 A master bedroom suite and library were added to this historic southern residence to allow the homeowners to live comfortably on a single floor. 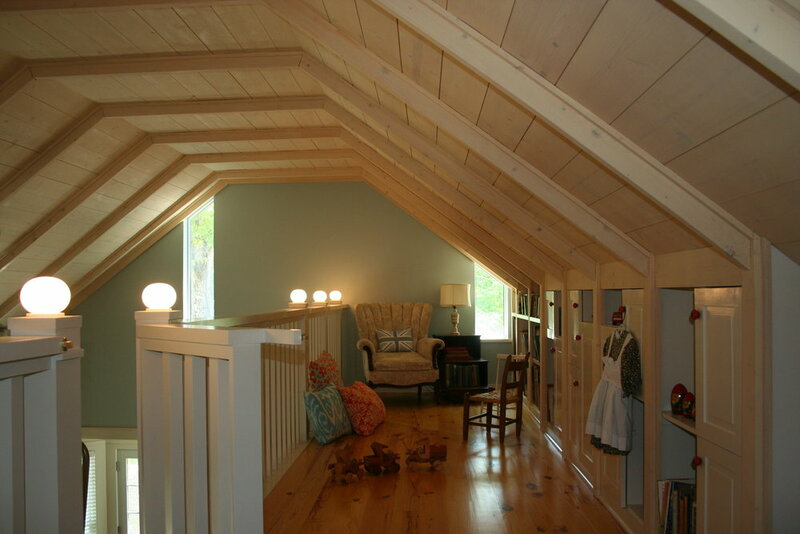 A loft connecting second story bedrooms to the library provides a secret play space for grandchildren. 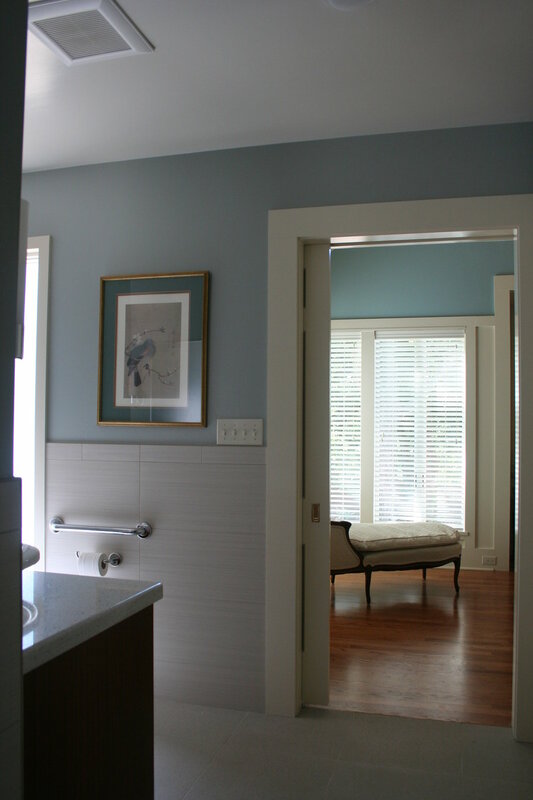 Modifications to the historic portion of the house include widening doorways, and modernizing the bathrooms. 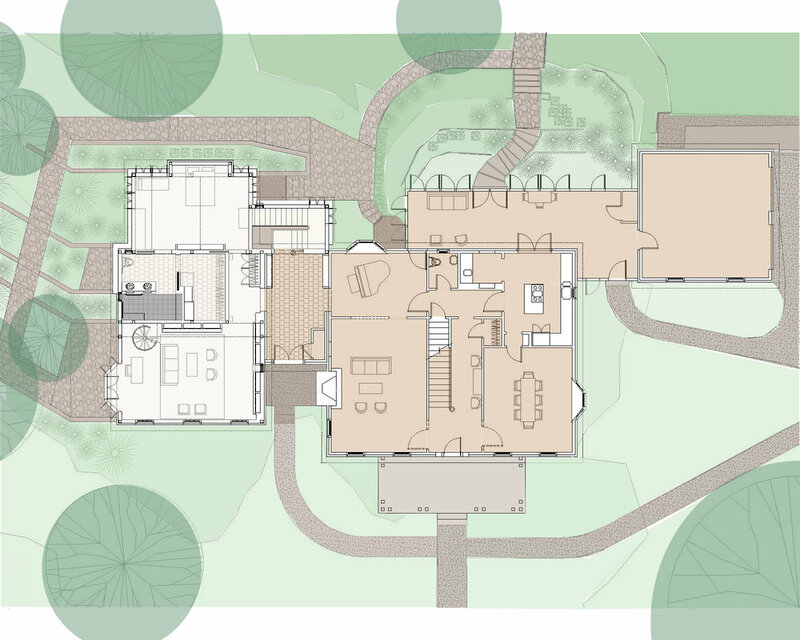 The scale of the addition balances the massing of the historic structure and blends modern and traditional detailing.